Everyone needs help sometimes. Mrs. Mills' favorite part of her job is lending a listening ear to students of Swink School District and helping students work through difficult situations. What is counseling with Mrs. Mills like? Students of all ages are more than welcome to seek counseling with Mrs. Mills! This can be as relaxed as simply venting to a listening audience of one, or as structured as weekly meetings to work toward a goal. Counseling sessions are largely student-guided; Mrs. Mills will prompt certain discussions to shape the discussion, but students are given liberty to decide how the meeting will go. 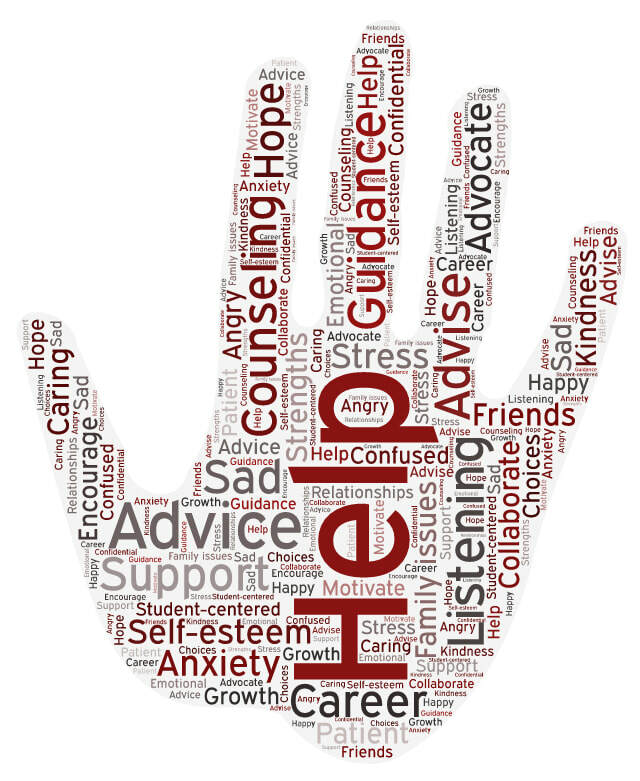 Counseling sessions are, of course, tailored to be appropriate for the age of the student.